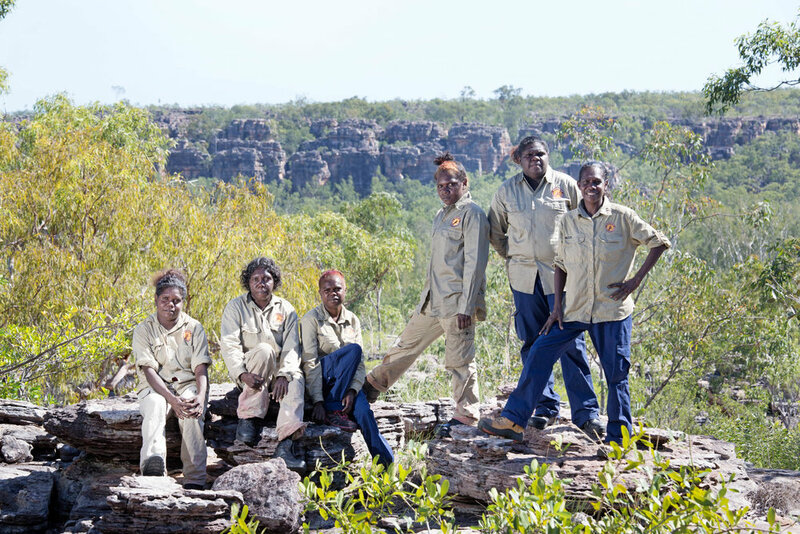 As I traveled with a delegation of Indigenous Guardians from Canada through Australia’s Northern Territory back in June 2013, I couldn’t believe how hot it was when I arrived in the Warddeken Indigenous Protected Area. The sun beat down on us, but as we flew past towering stone formations and stood before some of the oldest rock art in the world, I focused more on the beauty than the heat. We were visiting a group of Indigenous Rangers who manage the protected area. When they described their work, I was struck by its stability and continuity. One ranger said her nephew grew up knowing he would become a ranger. He was confident he could get professional training and have a job caring for the land on behalf of his community and all Australians. The next generation of Indigenous land managers can count on strong support in Australia. The federal government has made long-term investments in Indigenous Protected Areas and Indigenous Rangers, and research confirms this funding benefits the land, the economy and the people. Now a delegation of Indigenous land managers from Warddeken and other regions are traveling to Canada to talk about the transformative power of well-supported Indigenous-led conservation. This exchange is taking place at a crucial time. Canada plans to protect at least 17% of lands and freshwaters by 2020. The most effective way to reach that goal is to recognize Indigenous Protected Areas and support their ongoing stewardship through Indigenous Guardian initiatives. This approach will help renew relationships between Indigenous and Crown governments. The Australian model shows that recognizing Indigenous-led conservation can heal some of the wounds of colonization. The same is true in Canada. Honouring Indigenous Peoples’ right to determine the future of our lands is a vital part of reconciliation. Australia shows the scale of what can be achieved. There are 75 Indigenous Protected Areas across the country, and they account for nearly half of Australia’s national system of parks and conserved lands. Traditional Indigenous owners of the land identify areas to protect and then secure agreements with the federal government for conserving the land. The Australian government recognizes that protected areas require ongoing management, and so it has invested $840 million CAD in Indigenous Ranger programs from 2007 to 2023. This money delivers results: Researchers have found that $1 dollar spent on integrated IPA and ranger programs can generate approximately $3 in social, economic and cultural benefitsv. The conservation outcomes are well documented—from restoring threatened animals to addressing the impacts of climate change. But the way ranger programs transform people’s lives and communities is even more inspiring. The signs are everywhere: In young people gaining a sense of hope for their future. In women having flexible work that allows them to care for their families. In rangers supporting suicide prevention programs by fostering connection with the land. In improved health for rangers who are active on the land. In reduced justice costs and lower crime rates. In ranger programs earning millions of dollars in fee-for-service conservation work. In thousands of jobs that bring prosperity to regional and remote communities. And in more people feeling pride in their culture and traditions. All of these outcomes have been documented in research, but hearing rangers talk about what caring for the land means to them is the most powerful restatement to these programs. I hear similar stories in Canada. Many Indigenous Nations are creating Indigenous Protected Areas, and there are more than 40 Indigenous Guardian programs caring for traditional lands. More Indigenous Nations are poised to do similar work, but they need more support. My trip to Warddeken underscored why. I remember feeling at home when I heard the radios beeping in the rangers’ office, saw the maps of traditional land uses and learned about the techniques for collecting data. We used similar tools when I managed the Minashkuat Kanakutuataku (Innu Environmental Guardians) program for the Innu Nation in Labrador. But there was one crucial difference: I spent about 80 percent of my time cobbling together money for the program from ever-changing sources of funds. In Australia, rangers have secure funding and can focus on managing the land. When the Indigenous land managers (including a ranger from Warddeken) arrive in Canada next week, they will meet with guardians and Indigenous and Crown government officials. Together we will talk about how Canada can demonstrate its own leadership. Long-term investment in Indigenous conservation will help Canada protect at least 17% of lands by 2020 in a way that advances reconciliation. And it will transform everyone’s lives now and into the future.